Wall Street banks risk new penalties over their rigging of foreign exchange markets, as New York’s banking regulator intensifies a probe into computer-driven currency trading. 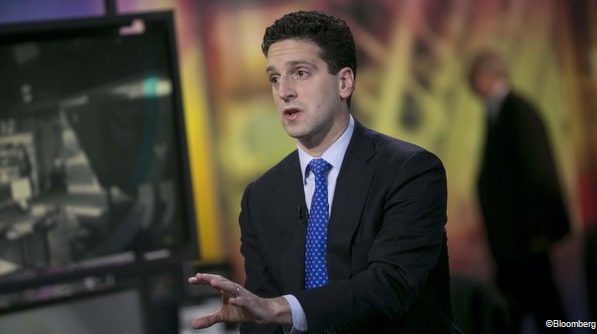 The New York Department of Financial Services, run by Benjamin Lawsky, has become increasingly convinced that banks have been systematically abusing forex markets through the use of automated trades driven by computer algorithms, said people familiar with its investigation. Trading platforms at Barclays and Deutsche Bank are being scrutinised by the DFS, and the regulator has also subpoenaed information from BNP Paribas, Credit Suisse, Goldman Sachs and Société Générale. A Fundamental Push for Key EURUSD, GBPUSD and USDJPY Levels? There is little doubt in the market consensus that the Fed will be the first major central bank to hike rates, and that will maintain a long-term bid for the Dollar. The near-term breakout in USD/JPY raises the risk for a run at the 2015 high (122.01). The Australian Dollar may resume its recovery after a brief interlude amid jitters preceding key US economic news-flow last week. Gold prices are softer going into the final full week of May, with the precious metal off by more than 1.5% to trade at 1203 ahead of the New York close on Friday. The US dollar made a comeback and the greenback was a big loser in a week that saw trends change. And now, US Durable Goods Orders, Consumer Confidence as well as UK, Canadian and US GDP data stand out. These are the highlight events in Forex calendar. Here is an outlook on the main market-movers for this week. The Federal Reserve released minutes from its April 28-29 policy meeting, revealing the planned rate hike will not take place in June. Despite growing confidence in the US economic recovery, the recent data suggest a temporary slowdown. Weaker consumer spending, slow growth and employment data led policy makers to postpone their decision on raising rates. Fed officials were also disappointed that falling oil prices did not spur growth as anticipated and that the recent dollar softness muted inflation. The Fed has reiterated it will not raise rates until it is “reasonably confident” that prices are moving toward its 2% target. Will the US economy rebound from its recent soft patch? In the euro-zone, talk about front-loading QE hit the euro in particular. The common currency reversed its previous gains. In the UK, inflation dipped below 0% and in Japan GDP came out better than expected. US Durable Goods Orders: Tuesday, 12:30. The U.S. manufacturing sector rebounded in March amid expansion in the transportation industry. New orders for long-lasting manufactured goods increased by 4.0%, to $240.2 billion, following a 1.4% decline in February. However, core durable goods orders, excluding the volatile transportation sector, declined 0.2% to $159.9 billion. The weak core figure followed seven months of negative readings, indicating the second quarter may not be as strong as forecast. A drop of 0.4% in orders and a gain of 0.5% in core orders is on the cards. US CB Consumer Confidence: Tuesday, 14:00. Consumer confidence fell unexpectedly in April to 95.2 from 101.4 in March amid weak job growth. While economists expected sentiment to rise to 102.5, sentiment plunged to the lowest level in 2015. Fuel prices continue to remain below last year’s prices contributing to growth but the soft patch in the US labor market overshadowed this positive development. 95.3 is expected now. Canadian rate decision: Wednesday, 14:00. The Bank of Canada kept its overnight rate unchanged at 0.75%. Governor Stephen Poloz forecast a positive outlook for the Canadian economy, despite the current weakness related to the collapse in oil prices. The central bank cut its original 1.5% growth forecast for the first quarter of 2015, to non- growth. However, Poloz insisted the economy would rebound in the second half of the year. Nonetheless, many economists believe the oil prices collapse will have a longer effect on Canadian growth. US Unemployment Claims: Thursday, 12:30. The number of Americans filing initial claims for unemployment benefits increased by 10,000 claims last week, reaching 274,000. Analysts expected a smaller rise to 271,000. Despite last week’s increase, the number of claims remained below 300,000 indicating the labor market continues to strengthen for the 11th week. The four-week moving average fell 5,500 last week to 266,250, reaching the lowest level since April 2000. A similar level of 272K is estimated now. UK GDP: Thursday, 8:30. According to the preliminary release for Q1 2015, the economy expanded by only 0.3%. The figure will likely be upgraded to 0.4% this time. It’s important to note that this growth rate is lower than seen beforehand. Canadian GDP: Friday, 12:30. Canada’s economy stalled in February showing no-growth, after contracting 0.2% in January. The mild improvement in the service sector was offset by contraction in goods-producing industries. Both manufacturing and energy sectors shrank in February suggesting the energy sector is not the sole cause for Canada’s economic weakness, as implied by the Central Bank. Economists believe the BOC will have to cut rates later this year to spur growth. An advance of 0.2% is on the cards now. US GDP: Friday, 12:30. According to the first release for Q1, the economy grew at an annual rate of only 0.2%, below expectations. Things are expected to turn even lower, with a downgrade to contraction of around 0.9% this time . Fed Reserve chair, Janet Yellen also discussed the possibility of raising rates if the employment market will show substantial signs of growth. The silver markets fell during the week, but did find a bit of support at the $17 level. Because of this, we think that the market will continue to be very choppy, but we do think that ultimately silver will offer value sooner or later. With that being said, it might be best to simply leave this market alone as far as long-term trades are concerned, but we are actively purchasing physical silver as we believe sooner or later it will become a bullish market again, allowing for longer-term appreciation. Gold markets fell during the course of the week, testing the $1200 level again. Because of this, we feel that the markets probably going to grind around in this area, and we are not ready to make any longer-term trades as a result. We believe that short-term traders will continue to pushes market around, and as a result it is probably best left to those who play short-term charts. Ultimately though, we do think the gold will offer value, so picking up some physical metal might not be a bad move. The USD/JPY pair broke higher during the course of the week, as we closed out the 121.50 area. That being the case, it now looks as if we are ready to break out above the potential ascending triangle that it appears on the weekly chart. That of course would be a very bullish sign, as the height of the triangle measures roughly 650 pips. Because of this, we believe that the USD/JPY pair will be very bullish soon, and a break above the 122 level is enough to get us to start buying again. We believe at that point in time that the market should head to roughly 128 given enough time. Needless to say, the market should have a bit of resistance at the 125 level though, and we don’t necessarily think that it will be the easiest move. However, by the end of the week we started to see US dollar strength just about everywhere, and as a result it seems as if the market is suddenly in favor the US dollar overall again. The US Dollar Index broke above the 96 handle, which of course is very bullish, and the EUR/USD pair suddenly testing the 1.10 level, an area that is indeed important. Ultimately, we have to wait to see what happens on a daily close, but it certainly looks as if the USD/JPY is ready to continue the longer-term uptrend. Even if we fell from here, we believe that there is enough support below to keep this market going higher, and as a result we look at pullbacks as potential buying opportunities. We think that the absolute “floor” in this market is somewhere near the 115 handle, and with that we have no intentions of selling this pair anytime soon. In fact, we believe that a lot of traders are starting to think longer-term “buy-and-hold” type of thoughts when it comes to this currency pair. Ultimately, the market should continue to find itself well supported, especially considering that the Bank of Japan is so dovish at the moment. The USD/CHF pair broke higher during the course of the week, bouncing off of the 0.92 level. However, we have the vital 0.95 level just above, and we believe that will be somewhat resistive. With that being the case, we believe that longer-term traders can have to wait until we get a nice close on the daily chart above the 0.95 level in order to start going long. As far selling is concerned, we have no interest whatsoever in going so at the moment, especially considering that the US dollar is so strong all of a sudden. The USD/CAD pair broke higher during the course of the week, clearing the top of the three hammers that we have recently formed. We crashed into the 1.23 level, which we see as the beginning of a significant barrier to the upside, and as a result we need to get back above the range for the week in order to consider buying. If we do, we feel that the market will probably head back towards the 1.28 level. It will be interesting see how this plays out though, because the oil markets don’t look like they agree. The New Zealand dollar fell during the course of the week, testing the 0.73 level. We believe that there is a significant amount of support below though, so quite frankly we are not comfortable selling at this point. We certainly can’t buy this market though, because it is far too bearish. With that being the case, we are simply sitting on the sidelines as far as longer-term trades are concerned. However, shorter-term selling opportunities should continue to be the case going forward, so we suggest shorter time frames. The GBP/USD pair fell during the course of the week, testing the 1.55 region. We find this very interesting, because the 1.55 area was massively resistive in the past, and as a result it should now be massively supportive. We originally went as high as 1.58 last week, and then fell from there. That was where we decided that the trend had changed completely. We did not get above there, and the fact that we have fallen back to this area makes is a very interesting market to us at the moment. After all, we feel like the longer-term trend is been decided before our very eyes at the moment. We look at this as a market that is going to make a significant decision soon. We believe that if we can break below the 1.54 level, the market should continue to go much lower. At that point in time, we would be sellers and aiming for at least 1.50, if not even lower than that. On the other hand, if we can break above the 1.58 level, we believe that this market should go much higher with a significant amount of noise to be found at the 1.60 handle as is expected by all large, round, psychologically significant regions. The British pound has of course been very bullish for some time now, so the question then becomes whether or not this is simply a pullback from a massive move higher and just simply the market running out of momentum, or if it is the sign that the market is ready to turn back around and continue the longer-term downtrend. The one thing that we do know is that the US dollar suddenly looks like it’s strengthening, which makes us a little bit concerned about the uptrend. Because of this, we think that longer-term traders are probably going to be best served by waiting for a breakout above 1.58 to start buying again, or of course the aforementioned break down below the 1.54 level. In the meantime, it will probably be more of a short-term trading type of environment.